HomeHome 1 Blog UpdatesNick was Determined! On Saturday, I was assisting him with dressing. We had learned of a baptism at church and he wanted to go, so we had to hurry. I kept going back into his room, directing him with the next task in the process and then returned to my room to continue my own preparations. We were dressing up for the occasion. We were almost done, the final step was putting on his socks and shoes. I told him that I would be back in a few minutes to help with that. Take a look at the picture. 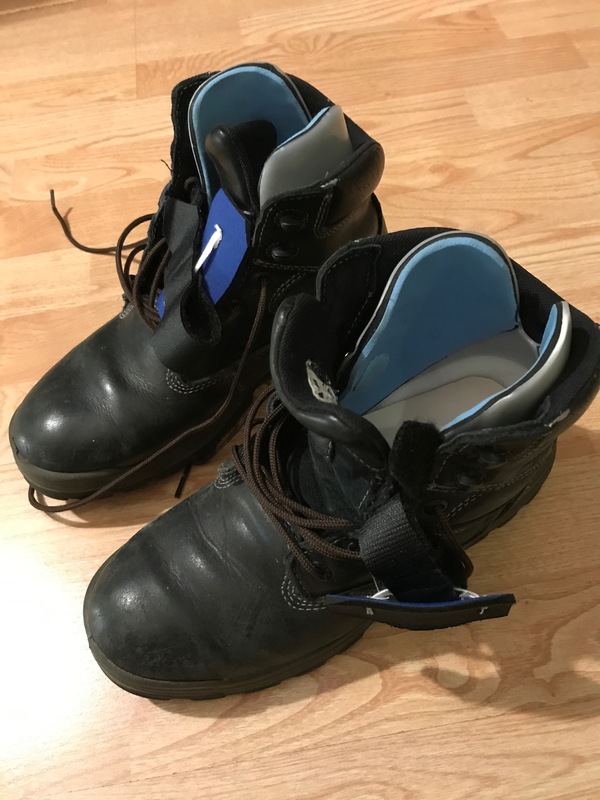 Nick wears hiking boot’s with ankle high orthotic inserts in them. All of this is designed to give him the best stability possible so that he can walk. It is an ordeal to get his feet into them. We have had these new orthotics for 4 months now and sometimes even with lots of effort we haven’t been able to get his foot into the shoes and have resorted to using his old ones. That is not ideal, but sometime it has been the expedient thing to do. Especially when everyone is frustrated that the foot didn’t go in. He was so proud of himself. He figured out how to maneuver his foot to get it into the space. His socks were upside down on his feet and to avoid him getting blisters, I had to take his shoes and socks off of him. I helped him with the socks and he showed me how he had gotten the shoes on. He figured out how to do something that Arden and I hadn’t had success doing. It is pretty awesome. Again, he showed me that I shouldn’t underestimate what he is capable of doing. He continues to amaze us.